This post contains affiliate links. If you choose to purchase something I have shared, I will earn a small commission…at no extra cost to you! All thoughts and opinions are of our own. All links are attached to the name of each item and will take you to Amazon for your decision to purchase or not. You will notice that broccoli is our to go vegetable on some of these recipes but don’t be fooled, we have another trick for a quick and fresh daily veggie intake. We are proud owners of a Vitamix Blender which has been an absolute God sent for us. 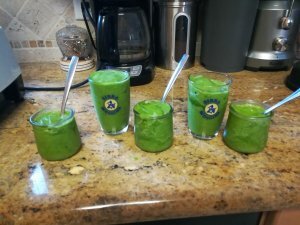 It will blend anything frozen into the consistency of an $8.00 Wholefoods smoothie cup with the difference, instead of paying only to get 1 cup, we spend that same amount to buy our Kale and Spinach for the week!🙌 I’ve included in my list a kid’s friendly smoothies recipe but keep in mind if you don’t have a Vitamix Blender the veggies don’t blend well. I’ve tried many times to use my Ninja and other blenders years ago without success. Now let’s get cooking, shall we? 1. 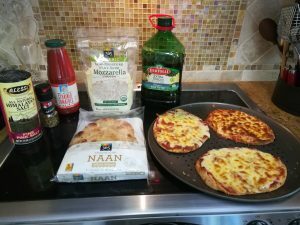 Naan or English muffin pizzas. These cute little pizzas are not only delicious but also easy! My favorite between the 2 is the English muffins pizzas. Both use the same ingredients but the Naan ones are even faster to prepare. Between prep time and cooking, it will take less than 30 min. 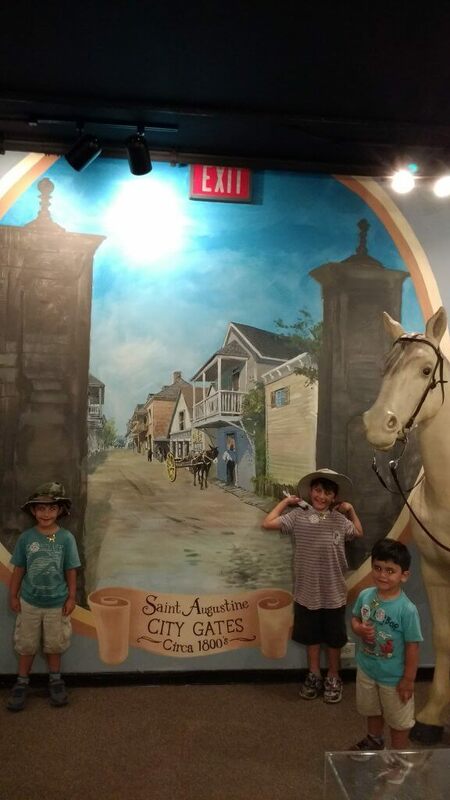 We keep ours very simple because of my 3 picky eaters but feel free to add any toppings of your liking. We find most of our ingredients at Wholefoods. Somewhere, someone made everyone in the United States believe making good homemade tomato sauce should take countless hours of cooking over a low temp stove. 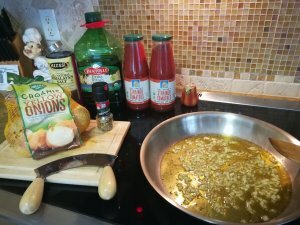 Sure there are some sauces out there that require a long cooking time (Ragu’ sauce For example), but I’m certainly not telling you to make a ragu’ sauce in the middle of your homeschool day👩‍🍳 As an almost fresh off the boat Italian, I can tell you that a quick, simple tasty sauce can be made in about less than 30 minutes. 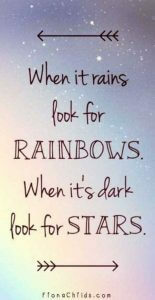 Yes, this is absolutely true, give it a whirl! Fresh Basil leaves and Parmesan cheese. Growing up I always loved boxed Mac & Cheese. I remember asking my sister to put some in the yearly Christmas box she would mail us in Italy. Oh, how that taste reminded me of being a kid living in the U.S. Nowadays our foods are more processed than ever. 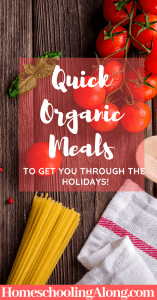 Potential harmful chemicals (phthalates) were found even in Organic brands of boxed Mac & Cheese and about a year ago I completely took it off as an option for a meal, no matter in how much of a desperate time pinch I was. 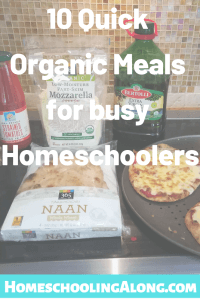 Wholefoods does sell trays of ready to bake Mac & Cheese, however, it takes 30-45 minutes to bake when I can prepare my own using mostly Organic ingredients and in less time than that! 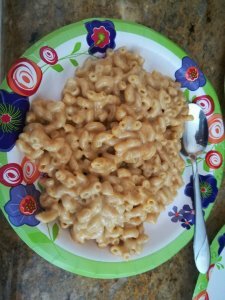 I tried different Instant pot recipes to make an easy and creamy Mac & Cheese. After several failed attempts, I was able to reach the consistency and taste of our liking. 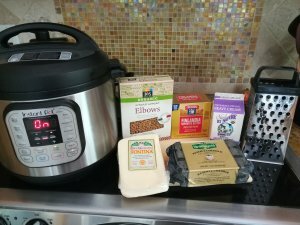 Thank God for the Instant Pot (see here for Amazon price). I buy blocks of cheese and shred it myself but you can find organic shredded Cheddar at Wholefood or your local supermarket (not sure about finding shredded fontina cheese). Follow my recipe or use it as a baseline to tweak it to your liking. 16 oz Organic whole wheat elbow pasta with 4 cups of water. a minimum of 2 1/2 cups of shredded extra Sharp Cheddar Cheese. Place pasta with water, salt butter in the pot. Set timer on 4min on high pressure. When done, shut off and release steam. Take the cover off. (If you don’t do this your pasta will overcook and become ginormous).Turn on the Medium saute’ option and immediately add the heavy cream a bit at a time continually stirring. Once all Heavy cream has been added start adding one handful of cheese at a time continually stirring until melted and then add the ground mustard and smoked paprika. Shut the pot off, serve and enjoy in less than 30minutes! Step1: On medium heat, cook bacon on a large skillet until crispy, when ready roughly chop into pieces of about 1/2 inc.
Step2: On medium heat using an ovenproof skillet, warm up olive oil and saute’ the sliced green onion until golden color, do not burn and then set aside. Step3: In a large bowl beat the eggs with the milk and then mix in the Parmesan cheese, frozen potatoes, salt, paprika, pepper, and a nice generous grind of the Italian Peppercorn medley. Pour this mixture in your ovenproof large skillet and sprinkle the pieces of bacon on top. Cooking instructions: Bake for 40 minutes @ 350F or until all eggs are set and firm with a nice golden color on top. 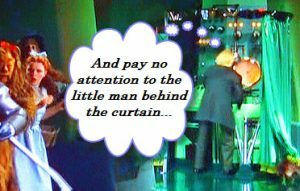 (Sometimes I need an additional 5min). Let sit for 5 minutes and then cut into slices. Buon Appetito! *I prefer to use diced frozen potatoes but I haven’t been able to find them Organic. If you can find diced organic potatoes go for it! **Parmesan can be substituted with any shredded cheese of your liking. 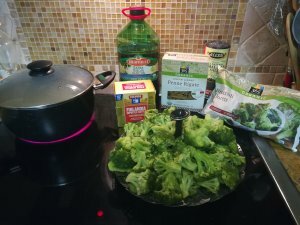 Broccoli, broccoli.🥦Some love ’em and some hate ’em but they are oh so good for you and so easy to cook too! We use a steam basket to steam our broccoli no more than 10 minutes. 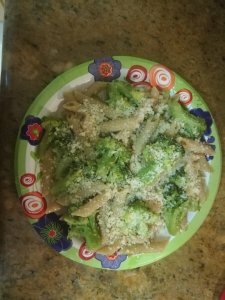 A good indicator is when they start losing their bright green appearance, this way we save as many nutrients as possible but not feel like we are chewing on a still live tree.😁 Our kids eat broccoli quite often as a side dish their Organic Chicken fingers or Fish, but Pasta and broccoli is a winner in this household. 1 to 1-1/2 lbs of frozen Organic Broccoli Florets. salt, freshly ground peppercorn medley, and Organic Extra Virgin Olive Oil as desired. In a Large pot with lid pour 1 – 1-1/2 inch of water on the bottom. Inside place steam basket and fill with frozen Organic Broccoli Florets up to the top and place over lid making sure it’s nice and tight. Turn stove on Medium-High (around 8 for us) and let the broccoli steam without disturbing the lid or steam will escape and make the process longer. It takes around 10min for the broccoli to become tender but not mushy and a good indicator is when they start losing their bright green color. If you prefer a softer consistency you can adjust your timing. Once the broccoli are steamed sprinkle some salt on them and put aside. 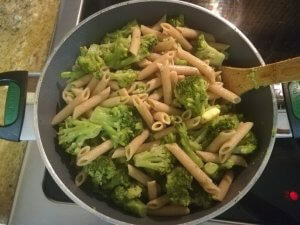 Now in another large pot, cook your favorite Whole Wheat Pasta and once cooked, drain and mix in the broccoli adding more salt if needed, butter (about 3 TBSP) and a generous amount of Extra Virgine Olive oil. Before serving grind some fresh pepper and top with grated Parmesan Cheese. Lunch is Served! Once again lunch takes about 30min beginning to end. 6. Parboiled Rice and Beans. Yup, rice beans can be fast as long as you buy canned beans. Well, I don’t buy canned because even if the cans lining now claim to be BPA free, something tells me it’s only a matter of time until they come out and say that’s toxic too, so I just buy them boxed and call it a day. In order for this to be a quick and easy meal your peppers, culantro, and cilantro should be already chopped in the freezer ready to hit the pan whenever needed. Wholefoods sells a mix of frozen already chopped bell peppers for less than $3.00 and it lasts for a while. Culantro and cilantro I find them in clear plastic boxes at Target, Walmart or Publix. 1 pkg Sazon (I don’t use sazon but make my own organic version and use a TBSP of it) and a sprinkle of Adobo. 2 cups of Parboiled rice cooked with 4 cups of water and 2 tsp of salt. This is my eldest son’s favorite thing to eat and interesting enough it used to be mine while I was pregnant with him. The most labor intensive thing about getting this meal ready is slicing your tomatoes and seasoning them, no cooking required. I am not a fan of greenhouse-grown tomatoes, I find them lacking in taste. Now let’s sharpen those knives and get started. I only discovered this past summer I can make nachos and better than the soggy restaurant ones and my family couldn’t be any more delighted. Comes to find out that on a day with not a lot of time left to cook they are a great fast, easy, delicious meal and not unhealthy. 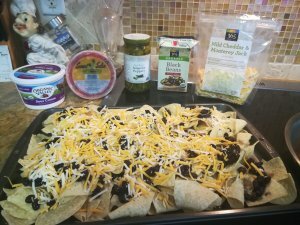 Line a dark cookie sheet with the tortilla chips and cover with shredded cheese. spread beans across without overloading any spot. Add as many jalapeno peppers as desired. Pre-heat oven at 350F and cook nachos for 10-15 minutes. ***If ground beef is desired as a topping it only takes 20-30 min to cook. Saute’ ground beef with a few pressed garlic cloves, add seasoning of your liking (I use the Organic sazon mix I made). 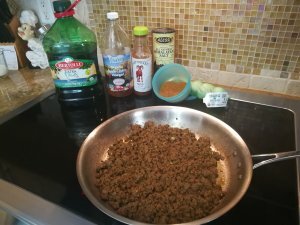 Add some drops of taco sauce while everything is sauteing and then for every lb of ground beef use no more than 8oz of Spanish sauce. Let everything simmer for 20 minutes on medium heat covered with a lid. There are many Spanish condiments out there you could add however I try to stay away from soy and food colorants as much as I can, and many have those in it so I forgo using any and everything is still very tasty. Fresh salsa, Guacamole, Sour cream, Ground beef. I do not place the toppings on the Nachos to avoid making them soggy. We all add our own toppings as we eat. Enjoy and Buen Apetito. I am Blessed to have a Mom that makes the yummiest Pesto I’ve ever had. For those who don’t know what pesto is, it’s made of Basil leaves with Oil, Butter, Parmesan cheese and pine nuts. You can probably find many variations but I like it nice and simple. It doesn’t require any cooking time, it’s all done in a blender and then kept in the fridge ready to be tossed in the pasta once cooked. Although my mom can’t ship jars of pesto all over the world,🌎 many stores do sell pesto now and you can find it in their fridge section usually next to the Alfredo sauce containers. Some pestos are better than others but none will ever be as good as my moms, sorry.😜 Truly, pesto is a great nutritional sauce made of a dark leafy green rich in Iron and with a base of a healthy fat of the Olive Oil together with the pine nuts. 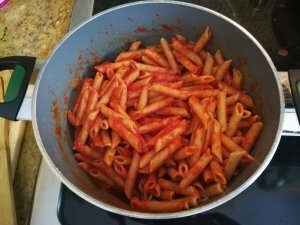 If you haven’t tried it yet I would grab a jar and one day when school runs straight into lunch time, just cook your pasta and toss it in, it’s as simple as that. But please don’t forget to top it with plenty of parmesan cheese! My kids’ pediatrician mentioned how broccoli, kale and spinach are very important veggies kids should eat. 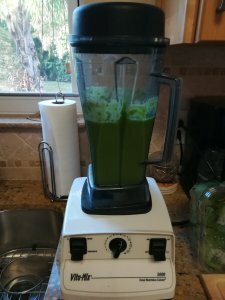 I honestly don’t know how anyone without a Vitamix (you can find it on Amazon here) is able to feed kale and spinach to their kids. 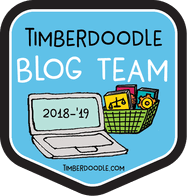 I feel whether you homeschool or not that’s a very hard task and if you do, then my hat’s off to you! I found that when I make a meal that’s already a miracle itself and I really don’t have time left to make a side of pretty much anything, that’s when the Vitamix comes in super handy. 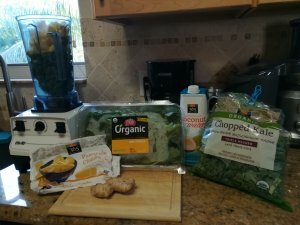 If our meal lacks greens then I whip up a green yummy smoothie and just like that the guilt and pressure are off from not having time to cook any vegetables. Thanks to our Vitamix blender we are able to eat veggies I wouldn’t even attempt on cooking, one of them being raw beets and ginger. Now we get to have beets, raw and they taste delicious too, does that make any type of sense? 😵 Here is a basic recipe you can try and from there you can add, switch or change it all, your call! Cover Vitamix jar and turn Variable 1 bringing the speed up to the max in a few seconds. let blend until smooth (maybe a minute or less) and your work is done. Happy Healthy Living! These look great for any parent! Shared this on facebook. Thank you very much and hope you enjoy!